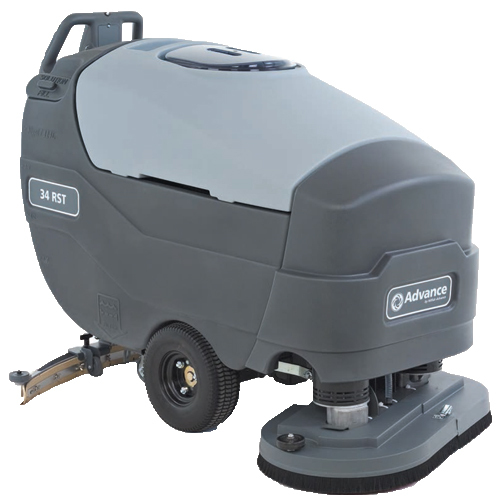 The NILFISK WARRIOR 34 RST is a battery auto scrubber. It features single touch controls and three pressure levels, as well as three water volume levels. The large tanks allow for less dumping and filling during projects. The NILFISK WARRIOR 34 RST is compact enough for narrow aisle but durable enough for large jobs.